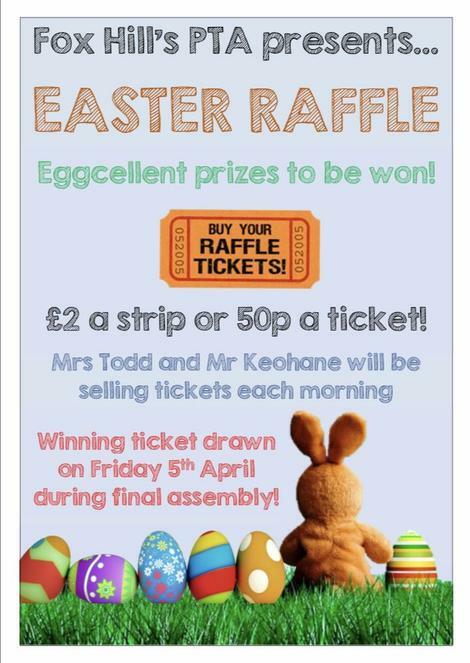 Tickets will be on sale from Mr Keohane and Mrs Todd every morning. £2 a strip or 50p each. To be drawn in the final assembly on Friday 5th April.